Gangtok, 07 Feb (IPR): Chief Electoral Officer, Shri. 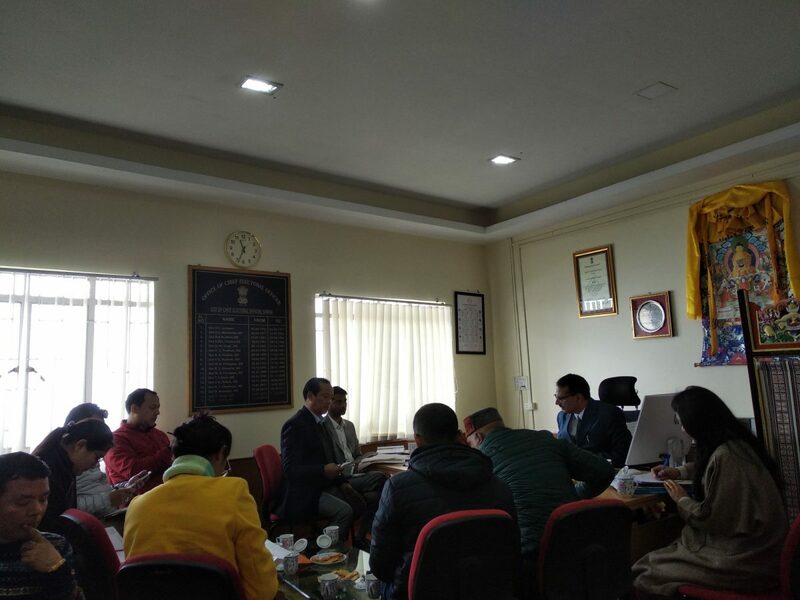 R. Telang, chaired a meeting with National Level Master Trainers, State Level Master Trainers and District Training Nodal Officers for discussing of module and schedule of District Training for upcoming General Election at the chamber of the CEO, Sikkim. During the meeting, various agendas regarding training plans of all the four districts primarily focusing on training of Presiding and Polling Officer- I, Dates and Venue of training including batches, number of personnel to be trained including batches and details of Resource Persons to be used for each training were discussed. Also discussions were made on inter- district deputation of Resource Persons for conducting of trainings/sharing of Resource persons, module of training of Presiding and Polling Officer- I with all NLMTs and SLMTs, receiving and dispatching format for finalizing a uniform format, materials for training, logistics arrangements and reporting format. The first phase training for Presiding and Polling Officer- I will start from Mangan, North Districts on 15 Feb followed by East, West and South Districts till 21 Feb.